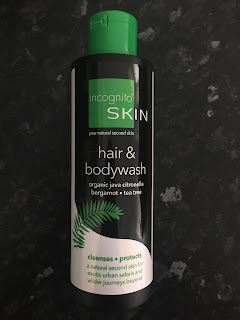 I was sent a 2-in-1 hair & body wash from Incognito® to review. Before I even opened the product, I was so impressed! 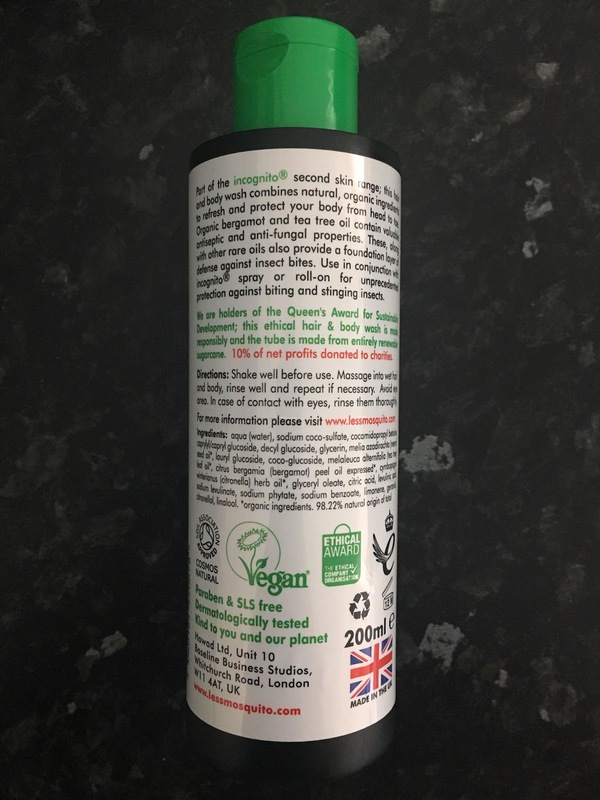 Firstly, the bottle is made from environmentally friendly sugarcane plastic which is 100% recyclable. Secondly, the product is vegan-friendly and is not tested on animals. A company's ethical compass is so important to me and Incognito® have won several awards for being ethical and sustainable. Lastly, the product is free from nasties such as irritants, parabens and SLS which is great as I have sensitive, dry skin. 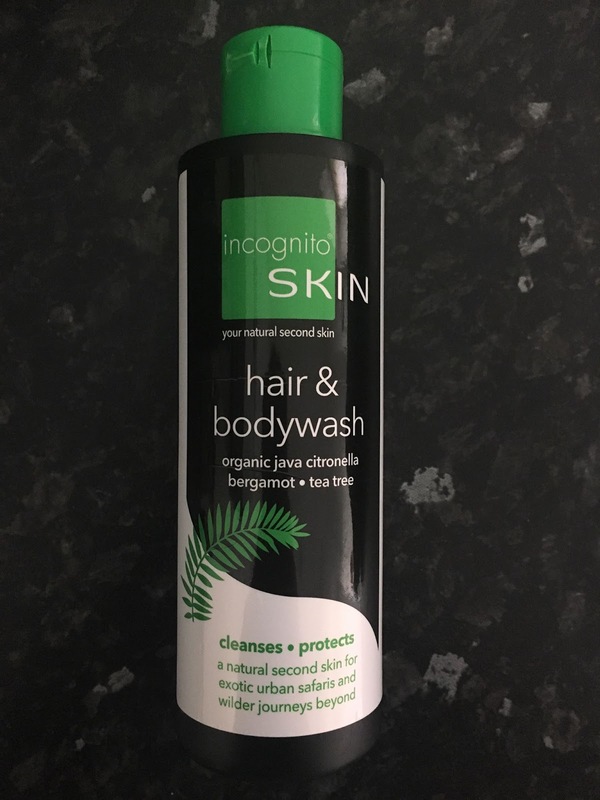 This hair & body wash from Incognito's 'second skin' range is designed for exotic urban safaris and wilder journeys. The organic bergamot and tea tree oil have anti-septic and anti-fungal properties which help to keep dandruff and head lice at bay. In addition, the organic Java citronella oil masks kairomones and repels insects to protect from insect bites/stings. Although I'm not in an exotic destination at the moment - unfortunately - I tried the hair & body wash in the shower at home. It has a fresh, citrus aroma from the bergamot and tea tree oil which leaves a lovely smell on the skin for hours. The product lathered up really well and both my hair and skin felt really clean and refreshed after use. I'm a huge fan of this product and I will definitely be taking this with me on my next holiday abroad for protection. I love that it is 2-in-1 as it's quick, convenient and saves precious suitcase space! In the meantime, I’ll continue to use as it’s great all year round as a general hair & body wash. This hair & body wash is £8.99 for 200ml and can be purchased here. Make sure to check out Incognito® on social media: @incognitoUK, Instagram and Facebook. My skin is sensitive, so this body wash could be the answer to my problems!